The Road Race Series Begins! 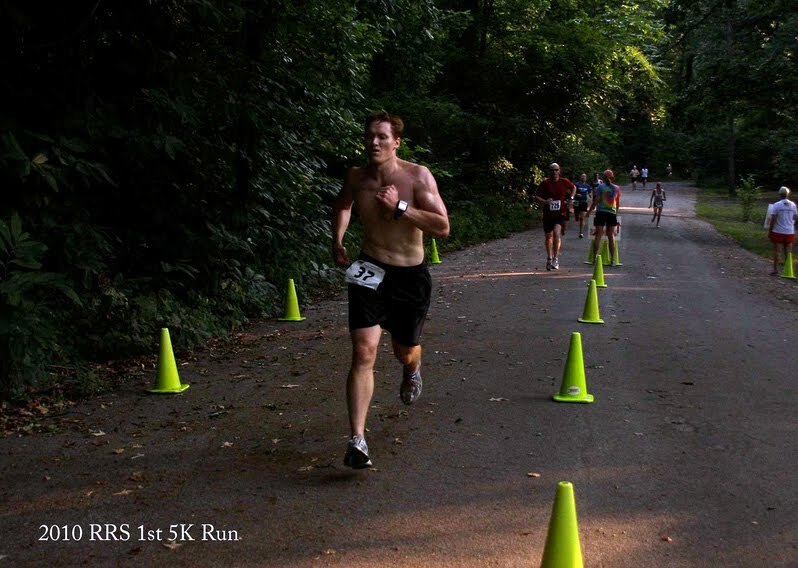 Memphis Runners Track Club’s annual Road Race Series consists of 2 5ks, 2 5-milers, 2 10ks, 2 10-milers and 2 half marathons every other Sunday at 7:00am. Members got all this for the low, low cost of $55 ($75 now); Nonmembers got it for $75 ($95 now). Being a nonmembers is just silly because it is only $25 for an individual to join for a year – $5 more than the nonmember rate and then you’ll get 10% off of races, discounts at local running stores, a monthly subscription to Roadrunner magazine, a nifty laminated membership card and a MRTC sticker (warning: do not apply sticker to locations with hair). Family memberships are an even better deal. Dang, your greedy. Well fine. By registering for the Road Race Series you also get to be chip timed this year (no more fighting to get to the front) and receive a long-sleeve tech shirt (dri-fit material). And best of all: By registering for the Road Race Series you’ll get to go to the MRTC holiday party in January where you’ll enjoy free salad, breadsticks, pasta, beer, dancing and see awards handed out by local TV’s Joe Birch. BUT WAIT – I’M AN OVERACHIEVER! 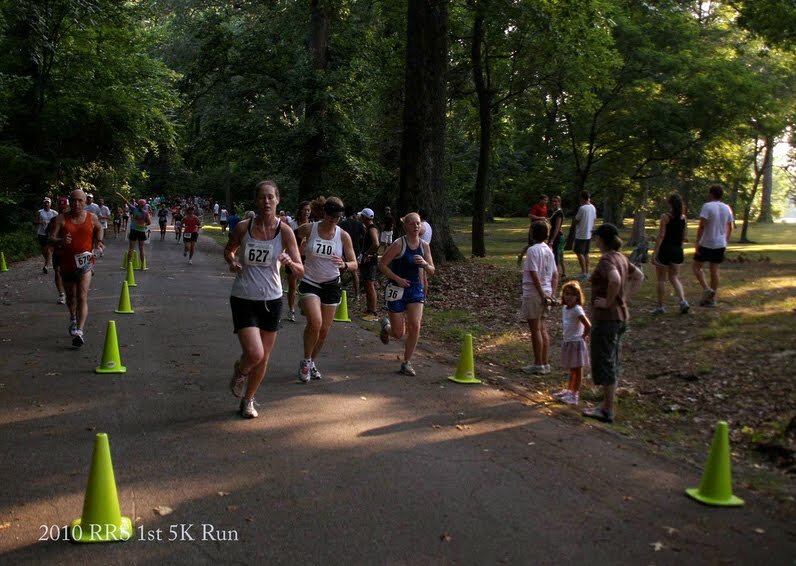 Did you finish at least 6 of the road races? Then you get a Special Finisher’s Item (last year it was a nice laptop bag). NO, I MEAN I’M REALLY AN OVERACHIEVER!!! If you finish ALL 10 races (no small feat getting up at 7:00am on a Sunday) you get an even nicer Special Finisher’s Item (last year it was even better laptop bag) and another Road Warrior Item (last year it was the coolest trophy ever – Bobby didn’t get it, but his friends did). So the first 5k was last Sunday and we made it, and did quite well too (especially considering we had 2 weddings the day before). Bobby had a time of 19:52 and 3rd in his age group; I had 27:37 and 22nd in my age group. We’ll be Road Warriors this year!